From an early age Silke Zeitz discovered her passion for doing hair. She graduated as a hair stylist in 2001. Shortly after Silke gained competent skills in make up and started working as a freelance hair and make up artist in Cologne and Munich. There she had the opportunity to work. for tv, film, commercials and fashion shows, and to acquire relevant experience and profound knowledge. 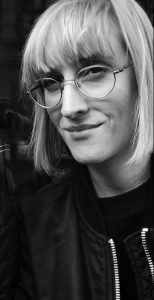 2006 – 2015 Silke has been working for M.A.C. Cosmetics. She is getting her inspiration from people, art, books and nature. Since August 2017 Silke is also a Fresh Partner for Ringana. www.so-magical.de Silke is currently based in Berlin.